A lot of our customers have never dealt with old doors before, and the dilemma of old versus new is quite familiar to us. 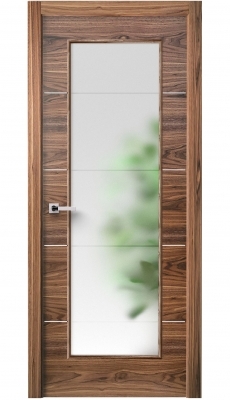 Doors are made to last and when you are going to replace them, it's usually because they have been installed a long time ago and lost the attractive look. Squeaking hinges, old paint, loss of soundproof quality, all these are signs that the door is due for a replacement. On the other hand, if you are looking into freshening up your interior, renewing the old doors might be an option. Especially if it's a vintage item you've inherited with an old house that you want to keep. In this case, you might want to replace the hardware. When making the decision of either repainting the doors or buying new ones, there are some questions we would ask you. Your final choice may depend on whether you are only concerned with the functionality, fitting into a new style or doing touch-ups before selling the property. Trying to maintain a certain style of interior design, every little detail is important. If the one you have work okay, refreshing the paint to color match with the rest of interior decor seems like a good idea. This process is, however, a more complicated than most would think and costs quite a bit of money. First, you need to take off all the old paint, including from the doorframe. Otherwise, the fresh paint would be wasted. 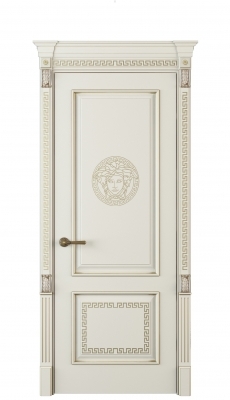 Unless you are trying to revive a vintage door, consider installing a new one. Come to our showroom to see all the different colors and finishes you can order. Looking at the options in person will help you decide what to do, and our door experts can also help you make the decision. You can also order samples, for just the cost of shipping, and see which one matches your furniture the best. If only separate parts of the door don’t work, for example, the handle, you should replace the faulty details before painting the doors. On the other hand, if they stop performing as the way they used to altogether, they need to be replaced. Doors that don’t block sound properly, make an awful lot of noise when you use them or if the doors don’t latch, might need more than just hardware replacement. Sometimes the manufacturing process goes wrong, so the doors start shrinking and expanding more than they need to, influenced by the weather. 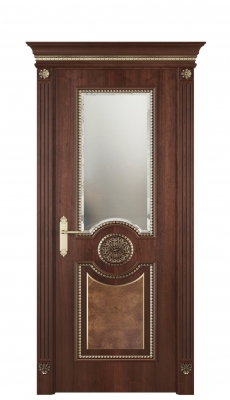 If you need a new, properly manufactured door, our website has a good selection of different configurations and styles. Contact Indigo Doors and our experts will help you make the right choice.